There are just a handful of reputable online gambling licensing jurisdictions in the world and the authorities which are based in these jurisdictions have issued online gambling licenses to some of the most trusted names in the online gambling industry. The ‘top-tier’ licensing jurisdictions which impose the toughest controls over their licensees are based in the Channel Island licensing jurisdiction of Alderney, also in the United Kingdom, the Isle of Man (in the Irish Sea) and in Gibraltar (a British territory located in the south of Spain, in the southernmost tip of Europe). In the United Kingdom the major authority is the UK Gambling Commission. On the Isle of Man it is the Gambling Supervision Commission. In Alderney it is the Alderney Gambling Control Commission and in Gibraltar it is the Gibraltar Regulatory Authority. The following licensing jurisdictions are often referred to as ‘second tier’ gambling jurisdictions and these include Antigua and Barbuda. This island is located east of Puerto Rico in the West Indies and the licensing authority based here is known as the Directorate of Offshore Gaming. Just off the coast of Venezuela is the Caribbean Island of Curaçao (former Netherlands Antilles.) This authority is called the Curaçao Internet Gaming Association (CIGA). One of the other major licensing authorities is The Kahnawake Gaming Commission which is located in Indian land reserve (Kahnawake Mohawk Territory) in Quebec, Canada. Another second tier authority is the Malta Gaming Authority (formerly Lotteries & Gaming Authority of Malta). This is a tiny European Union Island nation which is located to the south of Sicily in the Mediterranean Sea. Other licensing jurisdictions which imposer fewer controls over their licenses are based in Anjouan, which is also known as Nzwani, as well as Belize, Costa Rica and Panama, but many rogue casinos tend to have obtained licenses from these authorities. The best thing to do would be to ONLY ever play in a fully licensed casino which is preferably licensed in one of the top-tier jurisdictions (i.e. Alderney, Gibraltar, Isle of Man, United Kingdom, Antigua, Curaçao, Kahnawake or Malta). 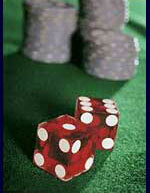 The most trustworthy online casinos are licensed in one of these jurisdictions. Should you ever encounter some kind of issue at one of these casinos (for example you haven’t received your winnings, or some other similar complaint), you can contact the authority which has issued that casino a license and then you will receive the necessary legal backing that you are entitled to try and get your issue resolved (providing you are a registered member of the casino that you have an issue with). You could NOT contact the Kahnawake Gaming Commission if you have a problem with a casino which is licensed in Malta, just like you couldn’t contact the Alderney Gambling Commission you have a problem with a casino which is licensed in Panama, and so on.